Covering a distance of over 42 km, this annual marathon in Seoul will award over US $600K in prize money to winners. The Dong-A Marathon first began in 1931. 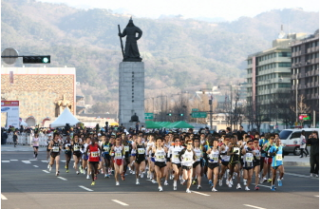 This year, the trek will begin at Gwanghwamun Square all the way to Olympic Stadium in Jamsil from 8 a.m. on Sunday, March 17, 2013. Registration is open now and costs US $40 to enter.